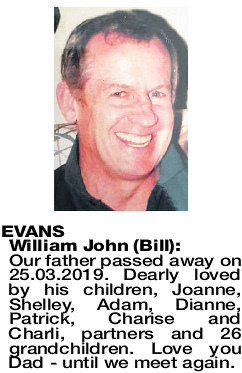 William John BILL Our father passed away on 25.03.2019. 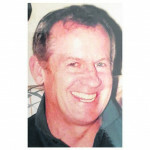 Dearly loved by his children, Joanne, Shelley, Adam, Dianne, Patrick, Charise and Charli, partners and 26 grandchildren. Love you Dad - until we meet again. 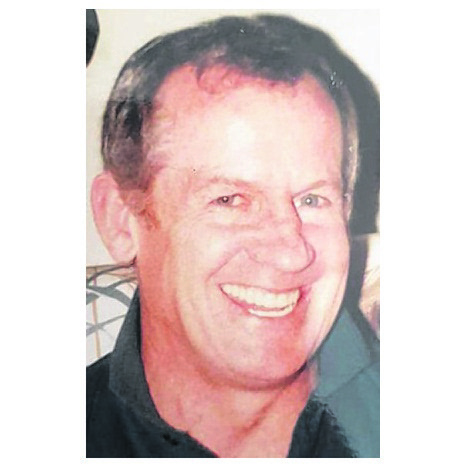 A Memorial/Wake for the late William Evans formerly of Spearwood will be held at the Raffles Hotel, Canning Hwy in the River View Room at 2.30pm.